Sometimes we all need a little nudge. A push in the right direction. Nowhere is that truer than when you want to declutter and clean out your home. Sometimes we look at where we are and we know “what” needs to be done, but “how” to take that first step can be a little tricky. 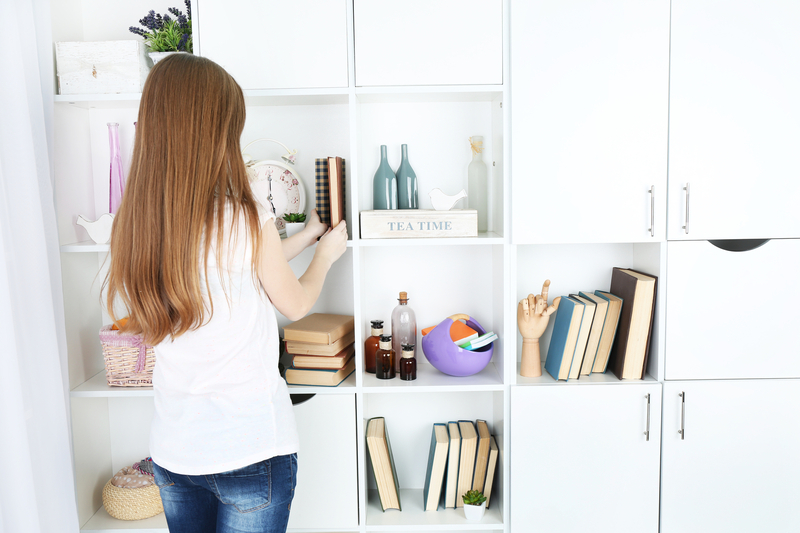 To help I thought I would give you a list of things you can declutter right now in your home. This is a simple list I know, but it is totally meant to be! When you are stuck sometimes all you need is something simple like a nudge to get you up and moving. I am here right now with your nudge my friend!! 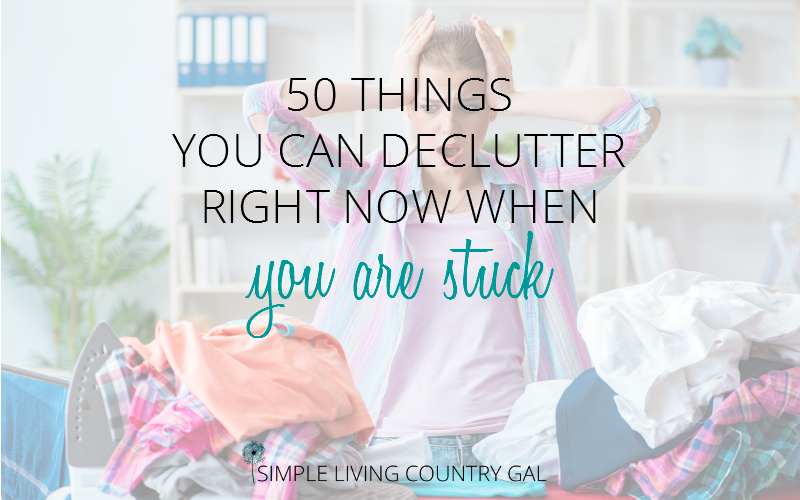 So if you are ready, finally ready to get some of the clutter out of your home….let’s do this! 1. Trash – So simple yet a game changer! Trash so often is a large part of our clutter and most of the time we don’t even realize it. Take a trash can and simply walk your home looking for items you can throw away. 2. Recyclables – Just like with the trash, get your self a container and walk your home looking for paper, cardboard, pop cans and bottles. 3. Shopping bags – Oiy, these things drive me crazy!! A home, even a large and busy one, only needs a few bags to function that you can easily store HERE. Take one of the bags and stuff the excess inside. This is a simple way to declutter right now. Drop this stuffed bag at the grocery store the next time you are shopping. They usually have a box for you to put bags right where you walk in. If not, donate them along with your excess clothing to charity. They LOVE old bags that they can use to give out items to those that need them. 4. Expired pills/medication – This task should be done every month in your home. Keeping outdated medication not only takes up excess space but can also be a health hazard. Remove the old now. You can read this article from the FDA on how to safely remove expired or unwanted medication. 5. Unmentionables – Funny how few people declutter this area! If you have socks with holes in them or underwear that has seen better days…why are you keeping them?! Take a bag right now and go through all your things. Get rid of any socks or underwear you no longer wear. If after you do this you see you are running low, get this item on your errand list! 6. Makeup – Did you know most makeup is only good for a few months? I know, right? I usually keep mine a bit longer, but if you have any that is caked up, hasn’t been used since the 80’s then toss it! You will be amazed at how much easier it is to get ready when you only have a few tried and true favorites to choose from. Once you have decluttered your makeup use this awesome organizer to keep things neat and tidy! 7. Nail polish – If it’s old and hasn’t been touched in ages, toss it! 8. Old and rusty knives – If you don’t use them because they are dull or mangled. Get rid of them. 9. Books – I love books, adore them actually, but even I need to stop and purge every now and then. Old textbooks, reference books, and paperbacks I haven’t looked at in years. Get them out and free up a ton of space!! Books can get musty quick, so only keep the ones you read often and love. 10. Old spices – After so long spices lose their flavor so it is a good practice to replace them after a year. This is always on my September to-do list. I like to make sure I have fresh spices before the holidays come around. 11. Craft supplies – I am sure if you are a crafter you might just be cringing right about now, hmmm you may even be whining a bit as well? But listen, if you have touched it in months (or years) it’s time to get rid of it and move on. If you loved it you would have used it so get rid of it and make room for what you do love. 12. Mittens or gloves that have forever lost their mates. 13. T-shirts – Get rid of those t-shirts you haven’t worn in ages. Donate or use as cleaning rags. 14. Expired pantry food – Check the dates on your boxed or canned items and remove the old and outdated. 15. Old linens – After a while, the elastic wears out in a fitted sheet. No sense keeping what no longer works so get rid of it now. The same holds true with sheets that contain holes or worn pillowcases. Go through what you have and remove what you no longer use. 16. Old blankets – Our home used to be overrun with blankets! We finally did a good purge and remove 10 that we no longer used. You can donate these to the local animals shelter. 17. Old swimwear – Just like with our bedsheets the elastic in our swimwear can lose its hold and shape. Do not donate but toss instead. 18. Food you won’t eat – If you have food items your family simply will not eat that you may have gotten on sale (ahem) donate it to the food pantry. 19. Office supplies – Used up pads of paper, old greeting cards, rubber bands, mangled file folders. 20. Stuffed animals – Most home with children may have more of these than they care to admit! Fill up a bag and donate them to the local nursing home. Alzheimer’s patients love to snuggle with bears and will welcome your donation. 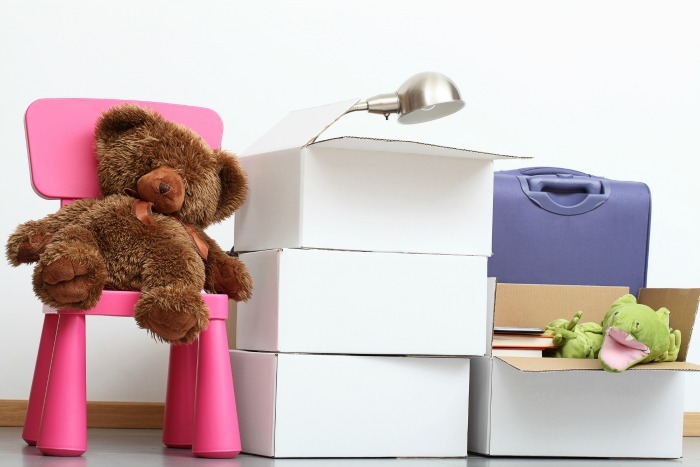 Please read: How to help your family declutter. 21. Excess nick nacks or holiday decorations – If you can’t see what you have, you have too much. Go through and donate the excess. Please read: How to declutter after the holidays. 22. Old pet toys – Even our pets can be hoarders. 23. VHS tapes – If you still have these lying around but no longer own a VHS player then it’s time to pack those babies up and move ’em on out of here! You may be able to recycle these, so contact your recycling plant to see if they accept them. 24. Fridge magnets – Unless you have a meaningful collection, clean off the front of that fridge that just might be covered in pizza advertisements or appointment reminders that were months or dare I say years ago. 25. Hair accessories – If you have a collection of random hair ties, bobby pins, or barrettes. Get to work and clean them out. 26. Old towels – Ragged and torn towels can be relocated to your garage for washing your car. Or, better yet the local animal shelter will gladly accept them. 27. Coffee mugs – It is amazing how big some of these collections are. keep your favorites and donate the rest. 28. Change – Do you have random piles of change all over your home? If so, combine it all and turn it in! Why let that money just sit and take up space. At least get it into a savings account so it can work for you while it sits. A great way to declutter right now and make money too! 29. Old cell phones – Yes I would keep 1 or 2 just in case yours bites the dust, but the rest can be donated to the local woman’s shelter. Some shelters give these to the battered woman to use to call 911 if they find themselves in a life-threatening situation. 30. Flower vases – You know the ones you get when you receive an arrangement? Most homes have a few of these stashed in a cabinet, time to let them go, my friend! 31. Travel mugs – You really only need 1-2. Choose the best and donate the rest. 32. Excess commitments – Learn to say no when a commitment takes away from your own needs. Overclutter schedules can wreak havoc on a family. Cut back, slow down, and enjoy life. Please read: Declutter your schedule, get more done in less time! 33. Old clothes – Do a little digging in your closet and I bet you can find clothes that no longer fit. Hey, we all have those! Here’s a little tough love. If they are dusty I am betting you haven’t been in them for a while. Let them go and move on! 34. Leftover paint – The color can fade or darken over time, so if it is old it’s time to get it out. Read here on how to safely remove old paint. 35. Old candles – If they are just about gone, light them up and enjoy them, then get rid of them. If you haven’t used them in a while because the smell just isn’t one you like then donate them so others can enjoy. 36. Plastic food containers – If they are stained, lost their lid, or if they outnumber the state of Connecticut it is time to make a purge here. Keep only what your family actually needs and uses. 37. Magazines – Read them and remove them! Donate or recycle. 38. Condiments – You know the ones that have nastiness on the lid? Those that haven’t been seen in months or dare I say years? Get them out of the fridge and make room for food you actually eat. 39. Freezer burnt food – While we are at it take a peek into your freezer. Get rid of anything you cannot identify or is more ice than food. 40. Pens and markers – Time to widdle down and remove the week and broken. 41. Frying pans – Non-stick frying pans that are no longer non-stick. Yep, I have 2 right now and just as soon as I am done writing this post they are going in the trash! 42. Travel toiletries – Yep, we all have them but really how many mini shampoo bottles do you need? Keep a couple and donate the rest to the homeless shelters. 43. Kitchen gadgets – If you have a gadget you haven’t touched in years, donate it to someone who will. You will be amazed at how much space a slushie maker or food processor that requires a Ph.D. to operate can take up. 44. Wire hangars – At the risk of sounding like Mommy Dearest here, wire hangars can wreak havoc on our expensive clothes. Slowly make the switch to these velvet covered hangers. Yes, it’s an investment but your clothes will last so much longer. We are making the switch slowly and I am so happy to no longer have shoulder bumps that my clothes get when they are hung up. Oh, and hangers are recyclable too. 45. Random electronic cords – Especially those that you have no clue what they do or where they belong! 46. Cracked or chipped dishes – Not only are they unsightly but can harbor bacteria or even led. Toss them now and replace them with inexpensive dishes from the Dollar Store. 47. Old board games – Now I am not talking family favorites here. I am talking the game you received as a gift 5 years ago, that you play once and never touched again. Yep, that game. Get rid of it now. Please read: How to organize games and puzzles. 48. Puzzles – Once you do a puzzle, then give it to another so they can do it too. 49. Toys – If you have children I highly suggest you do a toy purge every 3 months. This will not only keep their rooms from becoming cluttered minefields of random legos but will teach them how to keep their own collections under control. Lead by example! 50. Loofah – Did you know these things are only good for 3 weeks?! Who knew they even HAD a lifespan! They suggest you replace these because they can harbor bacteria that you are now washing back onto your body every time you shower. Ewwww!!! Pick up a new pack of 3 at the Dollar Store and toss them the 1st of each month. Set a reminder on your phone so you don’t forget because that is just gross people! There you have it, my friend, tackle this list and take that first step to cleaning out and cleaning up your home. 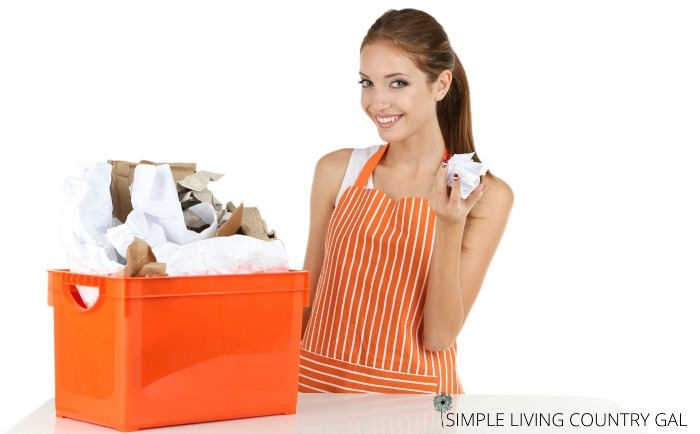 You will be amazed at how simple it is to get started decluttering and you will love the room you free up when you do! 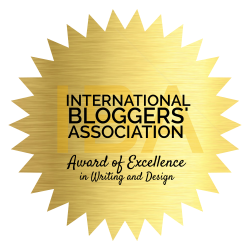 You can find this post and others at my favorite homestead blog hop! You have some great ideas on things to declutter. It reminds me that I need to get rid of some old books and magazines that have been building up for a while. The food is also a really good Idea – if we aren’t going to eat it give it to someone you will but don’t waste it. Sharing on social media. Have a healthy, happy & blessed day!